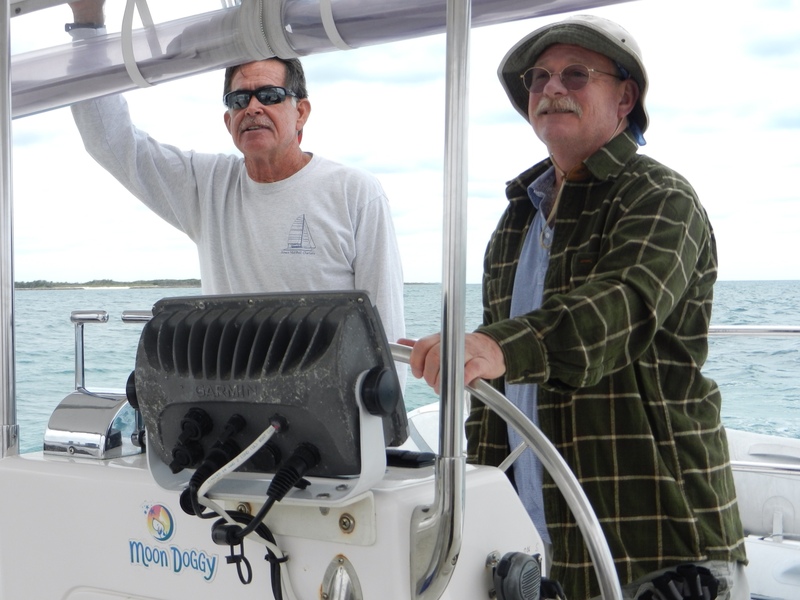 Wednesday, after buying provisions, we took the ferry to Hope Town where Ron, our chart rep, met us with his boat. He loaded our five bags and one cooler onto his boat mentioning that we had enough stuff for six people. 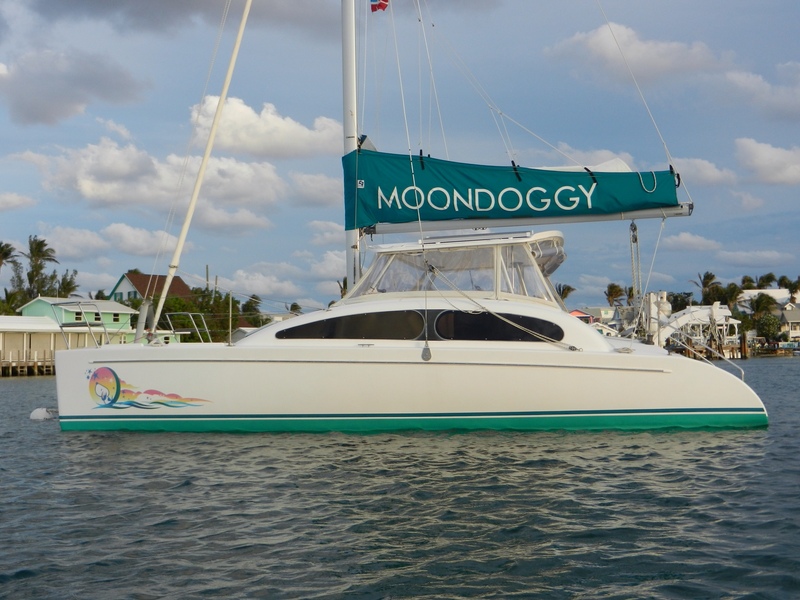 He took us to Moon Doggy, the Maine Cat 30 we have chartered for the week. 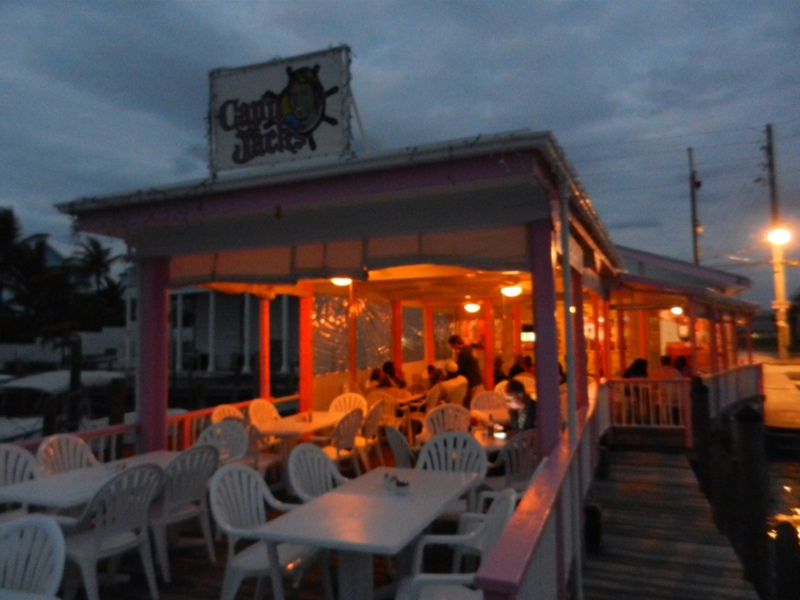 We got into our dinghy and went to Capt. Jack's for dinner and drinks. 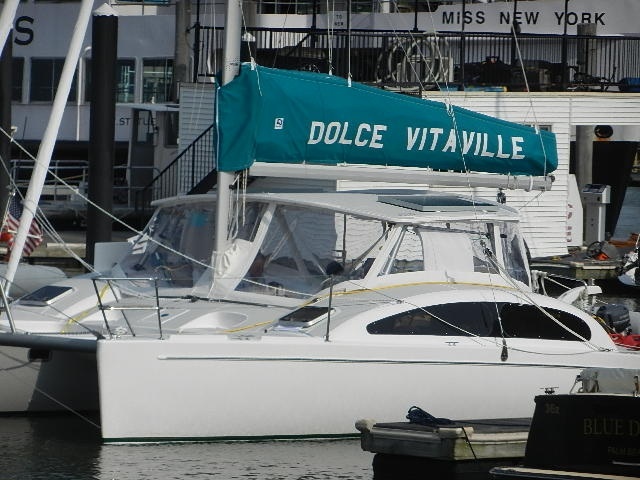 The next day, Thursday, we went for our check out sail. 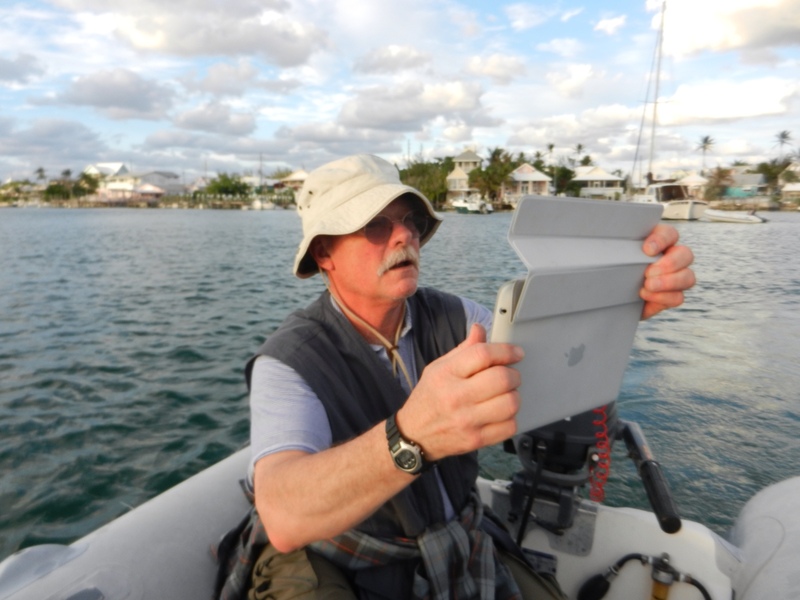 Ron is very thorough and even though we are experienced sailors we still learned some new tricks. 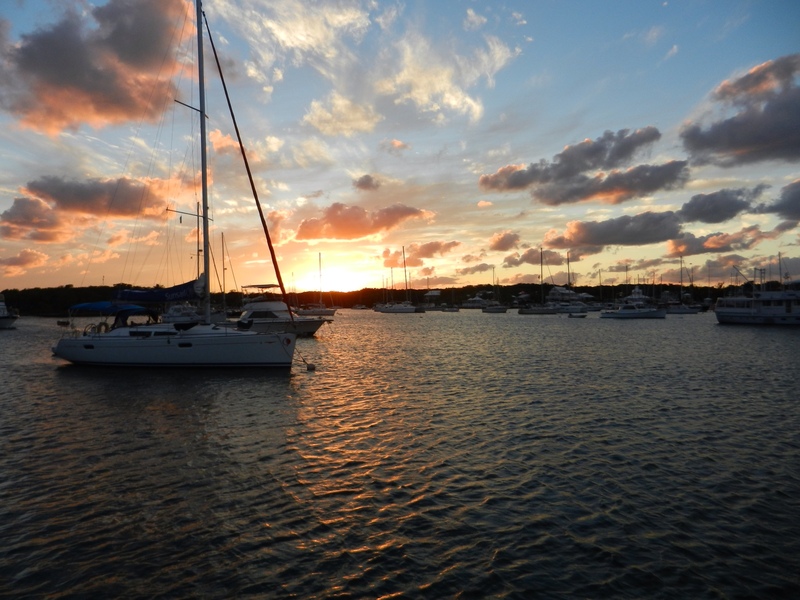 We enjoyed our day of sailing and returned to Hope Town harbour that afternoon. 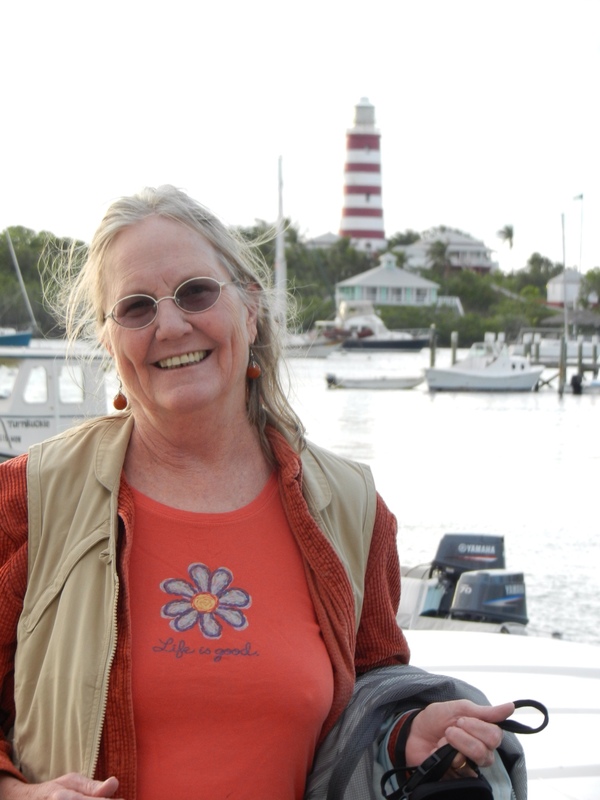 We did some sightseeing in Hope Town that afternoon and then returned to the boat to cook dinner….steaks, purple potatoes, snow peas and tomatoes….YUM! I have to admit that we are great cooks. Sunset in the harbour was lovely. love the name Moon Doggy. Franci you look great in orange! I am glad everything is working out for you guys, I can see in the pictures that LIfE IS GOOD!!!! You guys look so relax and having a good time. We are going for a party at Kay’s tonight and tomorrow is Paul and Polly’s birthday party, Sunday Salud will play Z Tejas, Pat is subing for you, you will be highly miss!!!!! but I reather be sailing myself too. It’s so nice taking this vacation with you guys! I hope you keep smiling and having fun!